You’ve worked hard developing your finance skills, networking, and preparing your resume and it’s paid off –you’ve been invited to an investment banking interview.Well done! You know however, that it’s not time to celebrate just yet. Although you have done a great job getting this far, so have countless numbers of other applicants who are equally determined to get that cherished investment banking job. Your true initiation lies in setting yourself apart from the competition during the interview process. What this article will outline is what to expect at the interview stage of the selection process in the investment banking industry. 1. First-round interview: These are generally conducted over the phone or, if you are studying at a target university, in-person at your campus. You will be interviewed by a junior banker, and the interview will focus on technical questions to ensure you have the finance skills required (also because financial models and valuations are on a junior banker’s mind all the time anyway). 2. 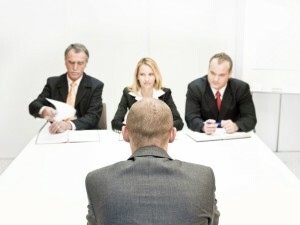 Superday interviews and second-round interviews: While the first round interview is mostly about measuring a candidate’s intelligence, the second round or Superday interview is going to rigorously test the candidate’s technical abilities, see how the candidate responds under pressure, and find out if they can get along with the rest of the team. This is a very difficult interview and preparation is key. Superday interviews: If you ace the first-round interview, you will be invited to a series of interviews held at the bank’s premises that can last an entire day, though generally take upabout half aday. Expect to be interviewed at least 3 times (and as many as 7) by at least one banker from each rank: from Analyst to Managing Director,but not necessarily in an increasing order of seniority. Each interview will take about half an hour. Prepare to be put through the wringer with all types of technical, personal and behavioral questions. The technical portion of the interview process is not for the faint of heart.You will go head-to-head with a senior banker who is trying to find the ceiling of your financial prowess. Second interviews: Though a Superday is the norm in the industry, some investment banking firms prefer a simpler process of a second/final interview. Whereas the content is much the same, these interviews are usually over in about an hour and are conducted by a combination of a Managing Director, Associate and/or Analyst. 3. Make a great impression on all your interviewers: you are more than likely to receive an offer. *Note: The interview process is fundamentally the same whether applying for an Internship or an Analyst/Associate position. The first round of interviews will be the same globally, so allow us to elaborate more on the second round of interviews for you. Though internationally the trend is shifting toward more Superday interviews, currently, there is one notable difference between the US and the rest of the world. Instead of the Superday, you will be asked to go through an Assessment Center. The Assessment Center generally lasts 1-2 days and is designed to assess the candidate’s technical and personal skills with a series of aptitude tests and exercises including input in case studies and presentations. The applicant will interview and be assessed both as an individual and as a part of a team with other candidates. It goes without saying that this is an exhausting process which will test the limits of the candidate’s abilities. Just like the Superday, preparation for the Assessment Center is key. After the Assessment Center interviews are conducted, an offer is extended to successful candidates. Regardless of whether you’re applying with an US-based firm or looking to join a local company elsewhere, investment banking will always be one of the most competitive fields to enter – even more so today when companies are eager to recruit the best and brightest and the competition is fierce. Mind numbing is a phrase often associated. To put it simply, it’s not going to be easy, and preparation is key. The interviews you’ll be sitting for are the single most important part of your application process and you’ll have to demonstrate your aptitude. Remember, networking and soft skills will get you an interview and are important factors, but hard technical skills will get you the job. Interviewers won’t dwell too much on school grades or what you’ve been doing to this point, but on how much value you can add to their firm. What you can expect at an investment banking interview is to be scrutinized by your future co-workers who have to ensure you are prepared to produce from Day 1. This is why you should expect your investment banking interview to be intense, professional and rewarding – just like a career in investment banking.